A Practical Guide to Stage Lighting, 2nd Ed. Combining theory and application, A Practical Guide to Stage Lighting provides a comprehensive analysis of lighting systems along with step-by-step examples and illustrations of the technical tools and methods. Readers will benefit from experience-based tips, techniques and traps to avoid in preparing and executing a lighting design. Anecdotes illustrate why some techniques succeed while others fail. Existing textbooks about theatrical lighting analyze artistic vision and visual concepts, which are important for the aspiring designer. These texts do not, however, provide any information about the mechanics required to produce those visions. This book addresses the realities of working in the theatre using practical methods to squeeze flexibility out of a lighting system and present solutions to common problems. STEVEN LOUIS SHELLEY hails from Nebraska, where he began his theatrical career as a technician, performer, and puppeteer. 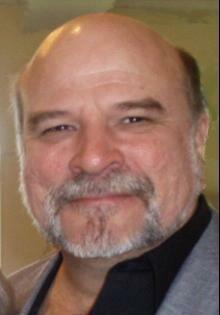 Eventually he focused on a degree in lighting design and graduated from North Carolina School of the Arts in 1978. After working in several cities around the United States, he moved to New York City, and has since designed lights, production managed, and stage managed live theatre in America and around the world. In the early '90's Steve started writing what would become A Practical Guide to Stage Lighting, (Focal Press, 1999, ISBN 978-0240803531). He just completed the expanded second edition (Focal Press, 2009, ISBN-13: 978-0240811413). He's the patent holder of the Field Template, as well as the award-winning Vectorworks® theatrical lighting toolkit SoftSymbols™ (www.fieldtemplate.com). He still lives in New York City.